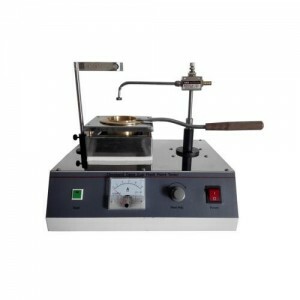 The instruments is used to determine effect of heat and air on a moving film of semi-solid asphaltic materials. 2. A digital temperature controller is equipped to set and display the temperature. 3. An air fan is equipped for stirring. The temperature precision is high. The temperature will rise up to 163℃ only 10min after sample loading and door closing. 4. Stainless steel materials is used for the working chamber. 5. Double-door design for safer operation.